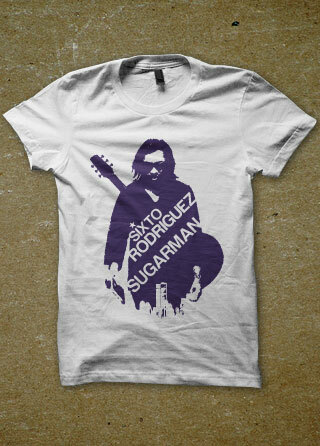 Printed mens t shirt of Sixto Rodriguez ‘Sugarman’ design. A remarkable man with a remarkable story. Rodriguez’s was a career that never really took off. 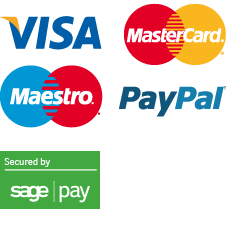 His songs have a Dylanesque edge: folky and occasionally psychedelic tunes underpinned by an astute lyrical acuity, protest songs that combine social commentary and critique with emotive tales of loss and love. Unlike Dylan’s, however, they didn’t sell. In 1975, Rodriguez was dropped by his label, and subsequently disappeared from the radar. Unbeknown to him, however, through a smuggled bootleg cassette of ‘Cold Fact’, he had become a star in South Africa, his socially conscientious songs providing relief and optimism to a youth oppressed by apartheid. 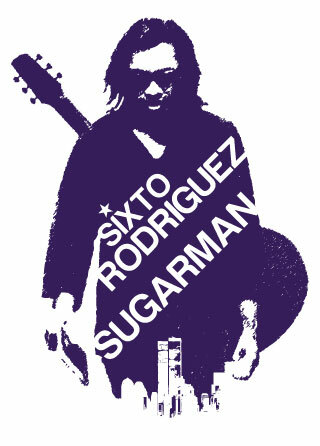 Then Swedish director Malik Bendjelloul’s heartwarming documentary about the singer called ‘Searching for Sugar Man’ raised Rodriguez’s profile dramatically, and he is now finally getting the credit due to him.